The world’s most profound ECG in patients’ hands. Profound 15-lead ECG data enables comprehensive infarction and complex arrhythmia analysis (22-leads upgrade possible). 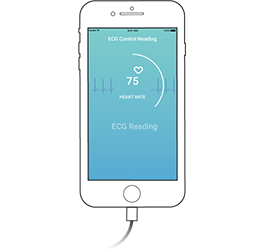 With only 4 electrodes and a smartphone, patients can record an ECG anytime and anywhere, without additional training on your part. Pre-evaluation of CardioSecur ECGs in critical and neutral cases (intra-individual comparison), allows you to allocate your precious diagnostic personnel efficiently. 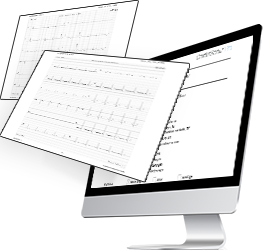 ECG data are securely transferred to your center via a proprietary server to server or server to app infrastructure. 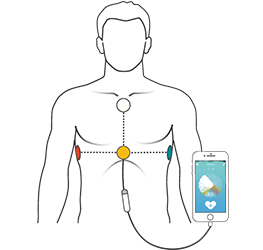 CardioSecur Active allows patients to record a 15-lead ECG on their smartphone at the moment when symptoms present. 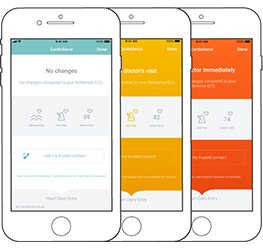 Each ECG is compared in the app with the patient’s previously stored reference ECG to pre-evaluate any pathological changes. Direct in-app feedback tells the patient, if medical attention is required in an acute situation or not (Trigger to Act). Your center receives profound 15-lead ECGs from that moment, to perform detailed diagnostic services to the patient and their physician. The combination of CardioSecur’s pre-evaluation trigger and your center’s diagnostic capacity brings patients and physicians together when it is precisely needed, prevents damage to the heart due to delays, lowers frustration with unnecessary doctor visits and strengthens your center’s reputation.